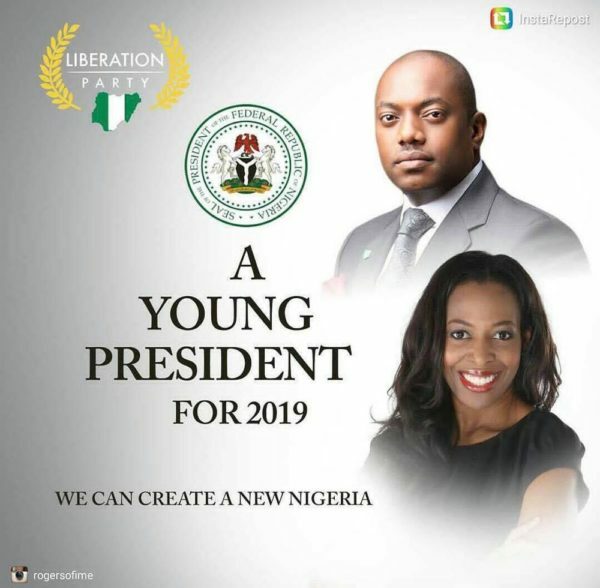 Both Fela Durotoye and Biola Alabi have addressed a campaign poster for the 2019 presidency elections making the rounds on social media. Both Durotoye and Alabi have said they are not running for office in 2019, and do not know from where the poster originated. I note with great humility the excitement that a fictitious poster circulating on social media has generated over the past 24 hours. For the avoidance of doubt, the poster was NOT conceived, designed or created by my organization. Neither was it circulated with my endorsement. To the best of my knowledge, there is no such party as The Liberation Party. That said, I have been overwhelmed by the love and goodwill generated by this (im)poster and the outpouring of best wishes and prayers have simply been incredible. It is truly amazing to see people’s reaction to the probability of an intention to run for the highest office and I note, with thanks, the advise & counsel of many strategists who voluntarily stepped forward to freely share their great ideas on how to carry out a successful campaign. The unsolicited pledges to fund a campaign is literally unbelievable. I was also not lost to the concerns of some and even the apathetic disposition of a few people. But, one thing I realized and learned from this unscripted & unprompted situation is that Nigerians at home and abroad (especially young people) want a next generation representation at the ballot box at the 2019 Elections. I believe this yearning should not go unnoticed by all young and vibrant, credible and capable leaders who love Nigeria and carry in their hearts a vision for a New Nigeria. 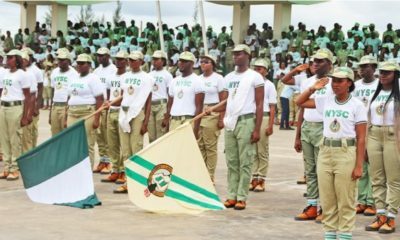 Nigerians are literally crying out for young leaders to emerge from the shadows of possibilities and step forward unto the leadership stage to sign up for the responsibility of service to nation, state or community through executive or legislative office. 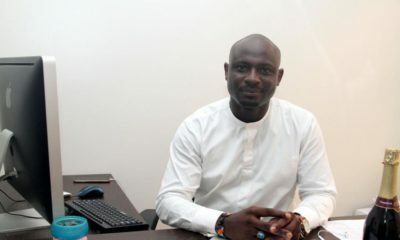 It is obvious that time has come for the young and strong to arise and build a coalition of ideas around a strong ideology of a New Nigeria where things work. A nation committed to Good Governance that creates the enabling environment for all of us to dream, try, succeed and thrive all across the land. A nation where every citizen of Nigeria dwells in peace and safety as we together passionately and creatively engage in fulfilling jobs that help us to enjoy an improved standard of living and achieve economic growth and social development for everyone. The future of Nigeria is what it can and must become … a most desirable nation to live, work and do business in and with. .
Nigeria’s Call Obey To Serve Our Fatherland With Love and Strength and Faith. Dear Family and Friends, thanks for all your calls and support over the last 24 hours, it’s truly been overwhelming and humbling. Unfortunately the poster is not real and I will not be running for office. Thank you and let’s all focus on building a better future for Nigeria by being actively engaged in the democratic process. This is what it should be but, unfortunately, all dem social media warriors will not leave their houses on election day. 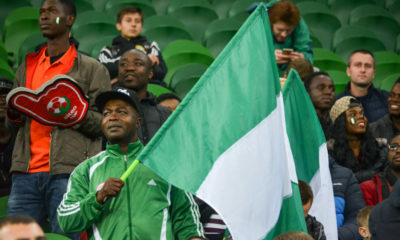 Debola and his ubiquitous red cap will not see these ones to represent and support. In case you read this, that epistle was too long for a response to a fictitious poster. Chances are half the people will not read that lengthy article. Reaction to this sort of news will most likely be is it rue or false? Give them the info and briefly articulate your position or reiterate your liberation message. Next time debunk it within the first few lines to discourage such danger in future. Dont play politics or Cicero with stuff like this otherwise next you will here Dangote or Otedola supported your fake campaign with N500m. MOREover I like you a lot but talkers don’t make good politician globally. you cant survive the game. just focus on your calling. thats what we hear till people get into office ..all the “younger” governors how far with them?? So forgive me for being paranoid but this is a classic strategy for testing the market.. It works every time. Once the idea is pushed out there, even if it’s not an immediate plan, people then start to push it, the parties then supposedly respond to the people’s call. Let’s be watching. Please be realistic and pick a running mate from another tribe. They are deceiving you with their good wishes. They won’t leave their houses to vote on election day. There are some who are just interested in your money. For a sec, I was excited about the possibility of Fela Durotoye running for the no 1 office. You already have my unwavering support if/when you decide to contest. I believe Nigeria can be great again, God bless Nigeria! too long a response to a fictitious poster! if really interested, give it a try. All sides and done you’re still my president came 2019 Mr fela durotoye I’m seat to place all I have work for in this 30 years of my live land money property ecc. to see you there….god bless Nigerian my country…. Frome Germany. Women will curb corruption group has seem a woman as your VP.